The PUNcast went to Comic-Con International: San Diego entrenched with the crew from The Orville itself to cover the event and panel featuring the cast and producers of the show. “Digital Content Producer” Dan Taylor shares with PUNcast co-hosts tidbits of info for any and all fans of The Orville. 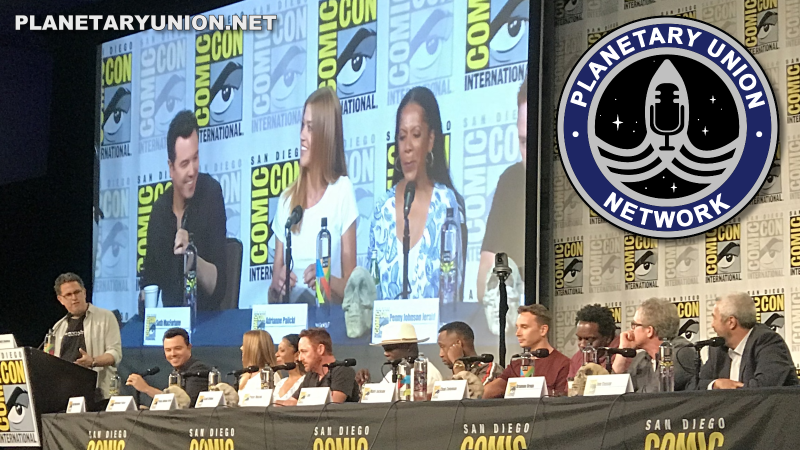 Also, hear the audio portion of The Orville Comic-Con panel from the first question asked by moderator David A. Goodman to the last audience question answered by the cast. Be sure to follow Planetary Union Network: The Orville Fan Podcast on Facebook, Twitter, Instagram, and Tumblr.